When you hold a Thomas Crafts teapot in your hands, you are in the presence of a master. He operated an earthenware “Teapot Manufactory” in Whately MA from 1806 until switching to stoneware crocks in 1833. His teapots were paper thin and perfectly thrown. The spouts were formed, as was customary, with highly valued, personalized molds. His mirror black “Jackfield” type glaze required an additional firing, unusual for redware of the time. The Crafts ascribed teapot shown here sits at the pinnacle of pre-industrial American artisan pottery. That alone is enough to merit inclusion in any list of pottery greats. But modern students of pottery can draw several lessons here. This teapot offers a window into the world Thomas Crafts inhabited. Records show that, along with an assistant (usually his own kin), he could turn out 2,067 dozen teapots a year. That’s roughly 88 teapots a day, 5 days a week, 56 weeks a year! And Crafts was just one of countless American potters making teapots. Furthermore, they were all competing against a Staffordshire behemoth factory system that flooded America with its own “Brown Betty” teapots. This was a time and place that worshiped tea. Thomas Crafts employed what we now call a “production potter” mentality. It would be easy to equate this mentality to that of an automaton, given the quantity of teapots his “Manufactory” created. But one would be mistaken to view the sparse character of this teapot as simply “form following function.” Instead, like so much American redware, it offers a unique and focused study of form and volume. It’s worth noting that the vast majority of historical masterpieces were produced using similar production mentalities. Traveling south on Interstate 91 in Massachusetts, just past Exit 23 for Whately (near mile marker 32.2), you can see on the right at the end of a frontage road an old farmhouse facing the highway. Originally, this house faced north, perpendicular to the road. It was moved sideways to avoid demolition when I 91 was built. Somebody knew who used to live there and didn’t think the place should be razed, it’s history forgotten. At the beginning of the 19th century it was the home of Thomas Crafts. 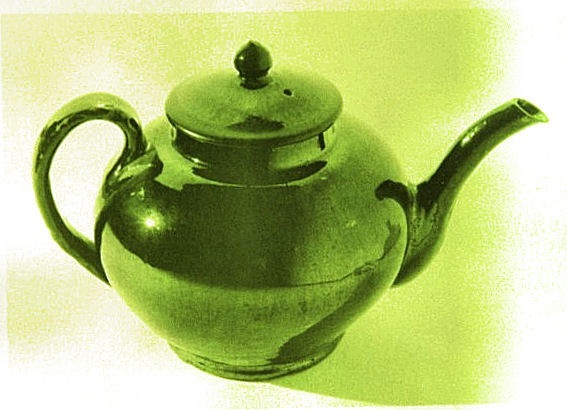 Here in 1806 Thomas Crafts began a lead glazed earthenware “Tea Pot Manufactory.” He, a younger brother and a boy employed to wedge clay threw 2,067 dozen teapots a year for 27 years. Some sold locally, but most went to New York and Pennsylvania, at $1.00/doz. wholesale. That a rural potter in the early 1800’s could successfully compete with English “Brown Betty” teapots was remarkable. Anyone lucky enough to have held a Crafts teapot can understand the feat. His teapots were impeccable. Paper thin. Their super glossy jet black glaze needed two firings, unusual for any redware pottery at the time. Sanford Perry, another Whately potter, developed the technique in1805, basing it on the “Jackfield” glaze originally from Shropshire, England. 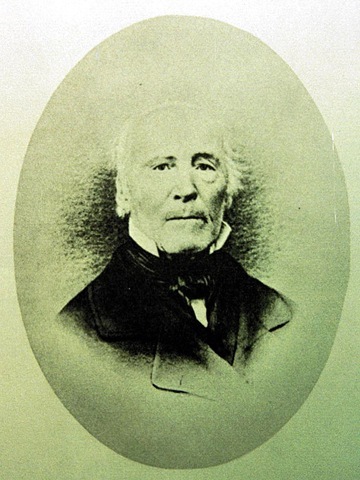 Rumor had it that Crafts stole the Jackfield recipe, then muscled Perry out of town in 1822. The actual record is more honorable (and amiable). Perry voluntarily sold the recipe to Crafts (they may have been partners) and moved back to Troy NY, his hometown, to get into the more profitable stoneware business. The Crafts manufactory marked the transition from rural pottery to factory. Thomas certainly saw it that way. He trained several brothers, sons, nephews, and at least one niece in the trade. He probably also trained Stephen Orcutt, head of the Orcutt potting clan. Crafts switched to stoneware when river and canal transportation allowed shipping of Amboy, NJ stoneware clay to Whately in 1833. Soon thereafter he exported his pots and his progeny all over New England. A curious window into the mentality of the Crafts family during that time can be seen in a bizarre “grotesque” pitcher they made at the beginning of the stoneware business in 1833. An ugly face was applied to the front and “United We Stand Divided We Fall, 1833” stamped on the back. But a Crafts teapot is, for me, the quintessential expression of a classic form. Every element necessary to the pot’s function and precisely proportioned. Absolutely harmonious. No superfluous decoration. No attempt to be anything but a teapot. Teapot as teapot. Perfection.